David Kamp is a longtime contributing editor at Vanity Fair, where he has profiled such major figures of American culture as John Hughes, Sly Stone, Johnny Cash, Norman Rockwell, and Bruce Springsteen. He is also the author of, among other books, the national best seller The United States of Arugula (Broadway, 2006), and he has contributed to such publications as the New York Times and GQ. He lives in New York City. 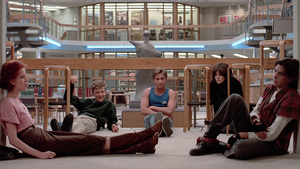 John Hughes created the blueprint for the American teen movie with this pop-culture phenomenon, finding the humanity in an assortment of high school archetypes.